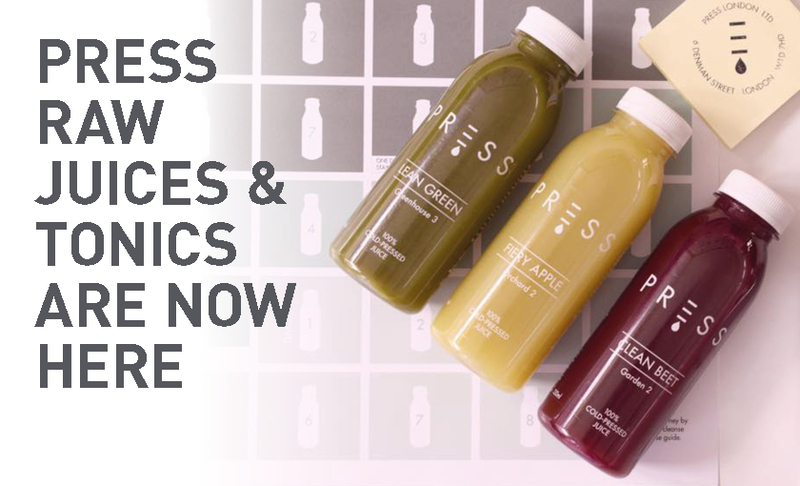 PRESS is dedicated to serving and delivering the best cold-pressed, raw and unpasteurised juice and healthy foods to people in London and across the UK, each and every day. From the moment they reach the kitchen, fruit, vegetables and our custom presses are cooled to below 3°C. 9 metric tonnes of pressure is then applied to this produce, extracting the juice without producing any friction or heat. This method ensures the juice never reaches above 3 degrees, meaning all of PRESS bottles resemble the raw fruit and vegetables inside them, in their natural state, with the maximum level of vitamins, enzymes, minerals and nutrients possible. We also have a new in house ANTIOXIDANT BLAST smoothie which blends PRESS Garden 2 with frozen blueberries and raspberries which makes the ultimate post workout free radical BUSTER!